There are many pieces of equipment you’ll need to look into getting if you’re interested in becoming a streamer. From headsets to desktop microphones, you’ll want to make sure you’re getting the best of the best. The most important of all of these is of course, the capture card. A capture card is a device used to record a visual feed from a gaming pc or console. Whether you’re making hilarious YouTube montages or looking to become the next Tyler1, you’re going to want the best capture card you can afford. Today we’re taking a look at the best capture cards for streaming in 2019 to help you buy the best product to suit your individual needs! Disclaimer: Most of our recommendations are from Elgato. We’re not biased towards them or sponsored by anyone other than Amazon. Elgato just seemed to have some of the best products! 1080p 60FPS Recording via USB 3.0. Stream footage from ANY video camera with an HDMI output. Internal processing to keep your PC running fast. Supports Up-scaling, down-scaling, arbitrary video resolutions and framerates. Sure, if you’re looking for a device just for streaming your game footage, there are cheaper, nearly as effective options. 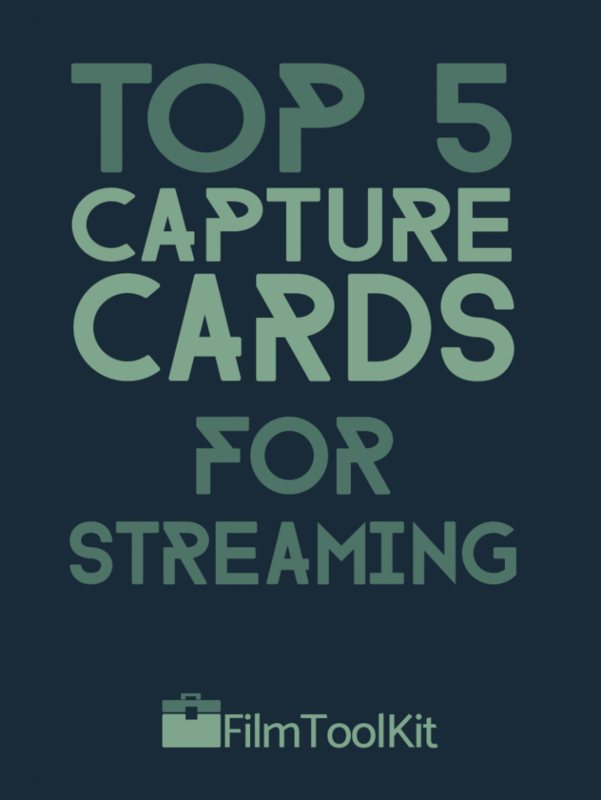 You’ll probably want an internal capture card for live streaming like #4 or #5 on this list. However, if you’re going to be operating a professional stream for a large event, or just want to do a live-stream with the best quality camera possible, this is the best device on the market. This device really excels is at streaming a visual feed from a high-quality DSLR or camcorder. That’s right. You can plug in a fancy DSLR and do a live-stream with zooming lenses and proper camera settings, completely blowing other streamers out of the water. It supports up-scaling, down-scaling, and arbitrary video resolutions and framerates. Your computer will recognize it as a webcam, so you’ll be able to do everything that a webcam could ever do. After all that, it even works as a general purpose full HD 1080p 60fps stream if you’re also interested in streaming games from a console or other pc. The powerful processing hardware inside the card takes care of everything so that your PC will experience 0 drops in performance. You can even dynamically change resolutions in the middle of a recording without experiencing any slowdown. That’s something that can’t be said about any other cards we looked at. This device has a tiny, efficient form factor; it’s a tiny little dongle, is effectively an HDMI to USB 3.0 converter, and is incredibly easy to operate with no drivers necessary. It’s even compatible with Linux, and will deliver completely uncompressed video footage to your PC. In our opinion, the steep asking price is worth it. This is the best capture card on the market for live streaming “IRL” stuff. If you’re just gaming however, stay tuned. This capture card is by far the most popular card among famous and amateur content creators alike, and for good reason. In the streaming industry, Elgato has become synonymous with quality, which is clear because they’ve earned 3 different spots on this list! The Elgato Game Capture HD60 is their premier external capture card offering and makes high quality streams simple and accessible to anyone. It captures 1080p 60fps gameplay flawlessly, and includes software to add your webcam feed and overlays. It even has retroactive recording so if you miss a moment you can record it anyways! If you are streaming on an Xbox One, PS4, or Nintendo Switch, this is the best external capture card you can get. The quality is really consistent, and only a very small percentage of users have experienced technical issues, especially compared to other cards we looked at. You can buy this card with confidence. Note: This is an external capture card rather than an internal one, so there may be a slight lag when streaming to a PC. Don’t worry, this latency is very low, and unless you are a serious competitive gamer who needs every single ms, you won’t notice it. This is the newest piece of hardware on this list. The AVerMedia Live Gamer Portable 2 Plus is an excellent step up from an already awesome external portable capture card. This is the only capture card on this list that will allow you to capture your footage without a PC! This is perfect for content creators who travel, or record footage at gaming expos. Don’t worry, you’re also able to stream directly to your PC like any other capture card as well. Like all other premium cards we are recommending, it is capable of recording and streaming full HD 1080p 60 FPS gameplay. The media playing software bundled with the card is very easy to use and doesn’t feel clunky at all. It works very well for streaming and has features to set up your whole stream with overlays and additional video feeds for your webcam. The card even has capabilities of recording your Xbox or PS4 party chat, a feature that other cards may require additional cords to fulfill. The main distinction from the original Live Gamer Portable 2 is the addition of 4k pass-through capabilities. This means that if you’re gaming on a 4k capable PC, PS4 Pro, or Xbox One X, you’ll be able to continue gaming in 4k even with your capture card equipped. This is not true for other external capture cards without this technology. The form factor is very visually appealing and the build quality feels sturdy. All the reviews we sifted through seemed very satisfied with this card, and this is the best in it’s class for the niche it is targeting. Wow. Another one of Elgato’s cards. We’re not surprised; they make great stuff. The Elgato Game Capture HD60 Pro is an upgraded, internal version of their popular Game Capture HD60. At under $200 its an excellent value and will provide you with quality on-par or greater than even the biggest Twitch streamers. One of our favorite features is the “Master Copy” tech that allows you to record full 1080p 60fps, absolutely perfect for creators who want to edit videos of their past streams. As this is an internal capture card, the instant gameview allows you to stream your gaming with ultra low latency, and there is built in integration to make Twitch and YouTube streaming a breeze. This card earns our spot for best capture card for PC with its 60 Mbps maximum bitrate, a whole 20 mbps higher than the external HD60 edition, giving you the highest quality possible at this level. If you have a desktop PC and are looking to do some 4k recording or streaming, this is the best option. This is an internal capture card that uses a PCIe x4 connector, so make sure your motherboard is capable of handling this beast before you buy. Many people use software solutions to record their 4k gameplay like Nvidia Shadowplay. However, that will seriously slow down your CPU, and won’t let you record 4k or 1440p from consoles like the PS4 Pro or Xbox One. This capture card records up to 4k resolution at 60 fps, and it’s really simple to set up. Aside from this, the card is identical to the other Elgato cards. It is of extremely high quality and consistency. If you are a professional who needs to stream 4k content, or just have a couple extra bucks to throw at your capture card, this is the best option for you. Note: do keep in mind that Twitch.TV does not yet support 4k streaming, so if you just need something to stream, go with one of our other suggestions. Draws power from USB connection, no additional cords necessary. If you don’t have much money in your budget for a capture card, but still want to get started with streaming, this is our favorite capture card. It comes in at just under $100. You may be thinking that is quite expensive, but this is truly the cheapest capture card that we feel okay with recommending. All of the cheaper capture cards we examined either didn’t have streaming functionality, or had way too many defective/faulty reviews for us to be able to justify purchasing them. The AVerMedia AVerCapture comes equipped with the fantastic RecCentral streaming/media software we mentioned on the above card. This software is amazing and makes streaming a breeze with overlays and integration with Twitch and YouTube. It is very low latency, and has a 1080p 60fps pass-thru, but only 1080p 30fps recording. 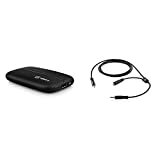 It’s compatible with all PCs consoles and other media devices, so you can be sure it will work with whatever you need it to. This card is extremely easy to use. You just hit the giant intuitive button in the center and start recording, making it our recommendation for those who are not very tech-savvy. It’s just as portable as the above card, but with slightly lower performance standards. It will be more than good enough for low-budget streaming and is an excellent capture card considering its asking price. Capture cards are typically pretty straightforward. However, when you are shopping for your capture card, there is usually one distinction that will require you to make a choice; internal or external? Here’s a quick answer: The only benefits of an external capture card are the ease of use and portability. Aside from those things, if you have a proper PC, an internal capture card will always do better. If you’re not streaming, it doesn’t matter much. With that out of the way, I’ll give you a rundown of why these differences can matter. If you do not own a desktop PC, the answer is simple. You will not be able to use an internal capture card. Internal capture cards connect to your motherboard via a PCI or PCIe connection rather than a USB, so you won’t be able to plug them in to your laptop. Laptop users will be limited to external capture cards. If you need a solution that is 0 latency, then an internal capture card is your only answer. External capture cards will operate over a USB 2.0 or 3.0 connection, and PCI is quite a bit faster. This is important when you are live streaming to have as little lag as possible. That being said, if you’re just recording some footage for a video and not doing live streaming, latency has no importance whatsoever. You don’t need to be live. This is one of the most important factors. Internal capture cards will be attached to the inside of your desktop PC and inconvenient to remove. If you plan on streaming or recording from multiple computers or locations, you’re going to want an external card that’s more portable. The most portable option we presented on our list was the AVermedia Live Gamer Portable 2 Plus. Not only is that card compact enough to bring anywhere, it allows you to record direct to an SD card, removing the need for a PC entirely. That means you can record your gameplay from any console anywhere without needing to lug around your laptop. This is also a killer choice if you’re a YouTuber who visits gaming expos and wants to record footage of game demos! The Elgato is a sharp device. I bought it today, but had to return it because it’s not compatible with OSX. Too bad. During my research, I came across the Magwell, and others that look just like it but with different names such as Imilet and DigitNow, and prices around $140. I wonder if these are just rip-offs of the real deal? Do you know how the power is supplied for the Magwell? Does the USB provide the power or is a chorded power source required? Hi Ryan, Thanks for the comment! The Magewell is the best product you’re going to find for streaming via a camcorder. I am not familiar with the Imilet or Digitnow products, but after a quick inspection the Imilet product might be able to get the job done. The power on the Magewell is supplied only through USB, so no problems there! Never heard of the AJA, but for you I’d recommend going with the Magewell or the Imilet.